New Delhi [India], Mar. 13 (ANI): Naresh Agarwal's departure is an advantage for the Samajwadi Party (SP), said party patron Mulayam Singh Yadav on Tuesday. Lucknow (Uttar Pradesh) [India], Mar. 13 (ANI): Former Uttar Pradesh chief minister Akhilesh Yadav on Tuesday condemned newly-inducted Bharatiya Janata Party (BJP) member Naresh Agrawal's statement directed at veteran actor and Samajwadi Party (SP) candidate Jaya Bachchan. Gurugram (Haryana) [India], September 19 (ANI): The Assistant Sub-Inspector (ASI) of the Gurugram Police, Naresh Yadav, on Tuesday was shot dead at his residence in DLF Phase 3. 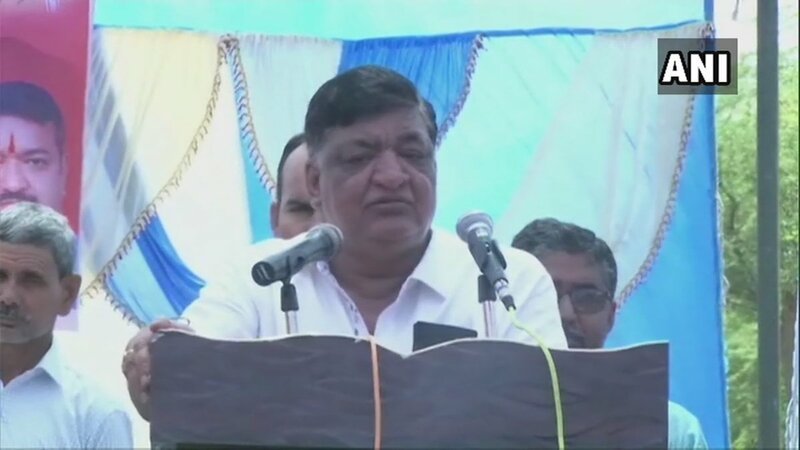 Lucknow (Uttar Pradesh) [India], Jan. 2 (ANI): Expelled Samajwadi Party leader Naresh Agarwal on Monday alleged that party leaders Amar Singh and Shivpal Singh Yadav are brainwashing party patron Mulayam Singh Yadav. New Delhi [India], Nov. 22 (ANI): Prime Minister Narendra Modi on Tuesday condoled the demise of former Uttar Pradesh chief minister and Madhya Pradesh governor Ram Naresh Yadav. Malerkotla, July 28 (ANI): A Punjab Court on Thursday rejected the bail plea of Aam Aadmi Party (AAP) MLA Naresh Yadav in connection with the alleged Quran desecration case. Malerkotla (Punjab), July 27 (ANI): A Punjab court on Wednesday sent Aam Aadmi Party (AAP) MLA Naresh Yadav to judicial custody till August 1 in connection with the alleged Quran sacrilege incident. New Delhi, July 25 (ANI): Aam Aadmi Party (AAP) MLA Naresh Yadav who was arrested in connection with the alleged Quran sacrilege incident, was sent to two day police custody by Malerkotla court in Punjab today. Malerkotla (Punjab), July 25 (ANI): Aam Aadmi Party (AAP) MLA Naresh Yadav who was arrested in connection with the alleged Quran sacrilege incident, will be produced before the Malerkotla judicial court today, following which the police will seek his remand for custodial interrogation. New Delhi, July 25 (ANI): Aam Aadmi Party (AAP) MLA Naresh Yadav who was booked in connection with the alleged Malerkotla sacrilege incident earlier on June 24 was arrested by the Punjab Police on Sunday.